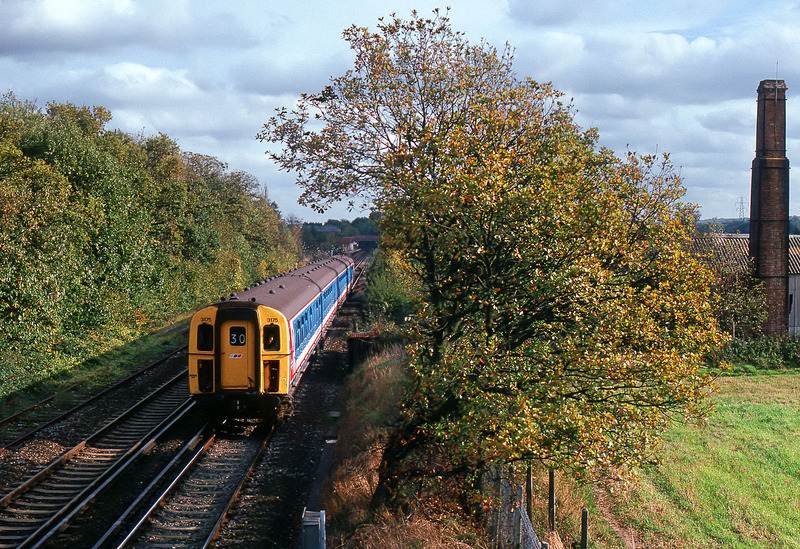 Class 423 4-VEP 3175 accelerates away from Sole Street station on 29 October 1988 with the 11:09 Dover Priory to Victoria Network SouthEast service. The chimney on the right belonged to a varnish factory, about which I can find only limited information. A fire at the works in 1928 caused damage to the railway line, but it is not clear if it was rail connected at the time. The buildings were disused when this picture was taken, and the whole site was cleared by the council in 1996, apparently without the written permission of the owners.